Best: Melbourne – Cumberland, Langley, McGinis, Moodie, Purse, Wardill. Fitzroy – Clarke, Drohan, Grace, Hickey, Moriarty, Robinson. Goals: Melbourne – Geddes, Leith, Ryan, Wardill. Fitzroy – Grace 2, Barker. Best: Melbourne - Abernethy, R. Johnson, Moyes, Streeter, Warne-Smith, Wittman. Collingwood – Beasley, H Collier, S Coventry, Harris, Shanahan, Wescott. 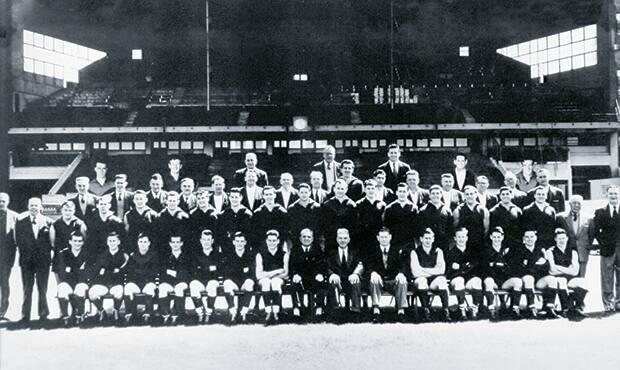 Goals: Melbourne – R. Johnson 6, Moyes 3, Wittman 3, Duff 2, Deane, Taylor, Vine. Collingwood – H Collier 3, G Coventry 2, Baker, A Collier, Libbis, Makeham. Best: Melbourne – Beames, Roberts, Anderson, Rodda, Wartman, Truscott. 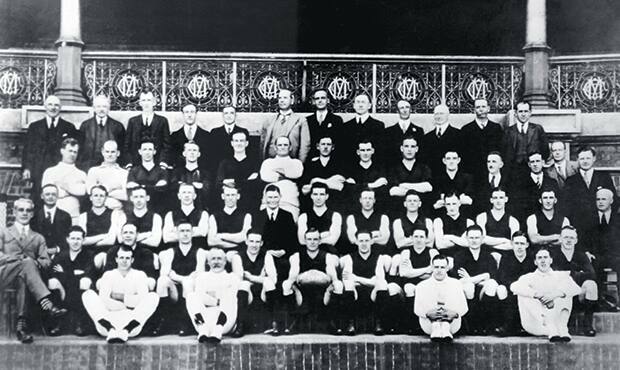 Collingwood – Regan, Todd, Knight, H Collier, Kyne, Ross. Goals: Melbourne – Beames 4, Rodda 4, L. Jones 3, Ball 2, Mueller 2, Truscott 2, Smith, Wartman, La Fontaine, Baggott. Collingwood – Todd 6, Fothergill 3, Knight 2, Balfour, McRae, Doherty..
Umpires: A. Coward (dislocated elbow), replaced by Blackburn in second quarter. Best: Melbourne – Beames, Smith, Baggott, La Fontaine, Mueller, Ball. Richmond – Harris, Titus, McDonald, Dyer, Edwards, Cotter. Goals: Melbourne – Smith 7, Baggott 2, Beames 2, O’Keefe 2, Truscott, Fanning. Richmond – Harris 5, Titus 3, Crane, Bawden. Best: Melbourne – Beames, Lock, Heal, Mueller, Dullard, La Fontaine. Essendon – Coward, Buttsworth, R. Reynolds, H. Lambert, Abbott. Goals: Melbourne – Beames 6, Smith 3, Mueller 3, Wartman 2, Daly, Dullard, O’Keefe, S. Anderson, Gibb. 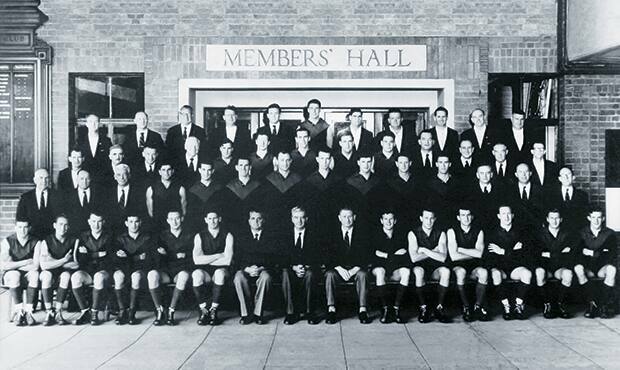 Essendon – T. Reynolds 3, R. Reynolds 2, Bryce 2, Abbott, Lane, Regan, Cassin, Exelby, Torney. Best: Melbourne – Rodda, Smith, Collins, Mueller, Bickford, McGrath. Essendon – R. Reynolds, McClure, McDonald, H. Lambert, C. Lambert, Leehane. Goals: Melbourne – Mueller 6, Smith, Craddock, Arnold, Dullard. 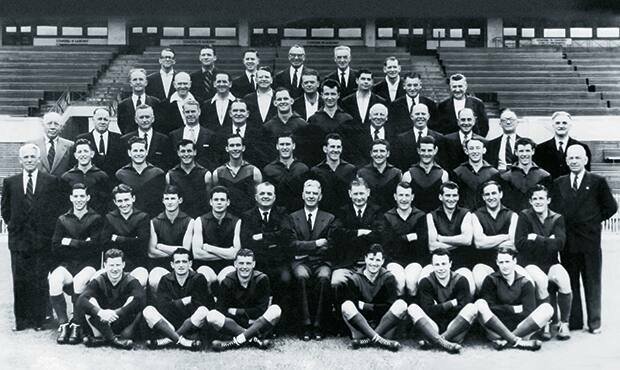 Essendon – Hutchison 2, Brittingham 2, Rawle 2, Bradley. Best: Melbourne – Mueller, Smith, McGrath, Spittle, Bickford, Arnold. Essendon – McDonald, McClure, Bushby, Syme, Hassell, C. Lambert. Goals: Melbourne – Mueller 6, Arnold 2, Rodda 2, Smith, Dullard, McMahen. Essendon – Brittingham 2, Syme 2, R. Reynolds, Hutchison, Jones. Best: Melbourne – Denis Cordner, R. Barassi, Melville, McLean, McMahen, Marquis. 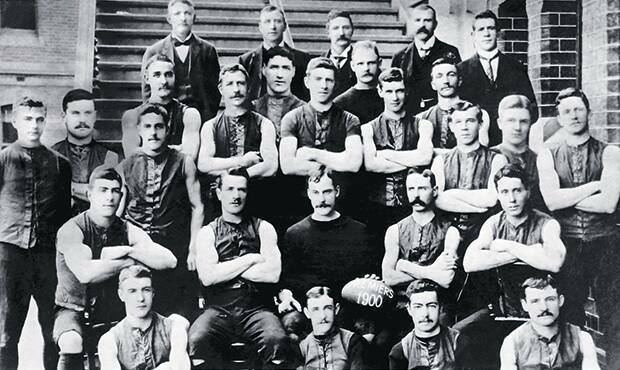 Collingwood – Hamilton, Lucas, Mann, Bob Rose, Sharp, Tuck. Goals: Melbourne – Clarke 3, Ridley 3, McKenzie, Laidlaw. Collingwood – Weideman 2, Bob Rose, Smale, Jones. 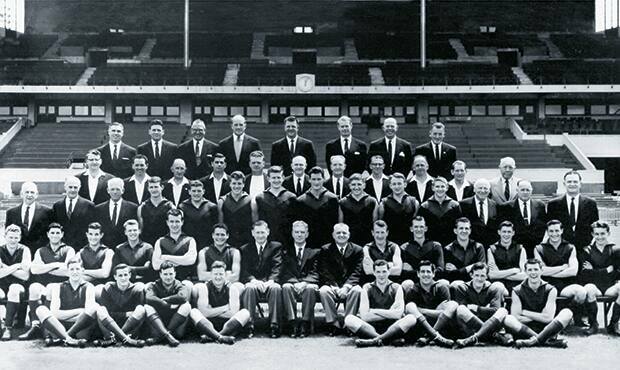 Best: Melbourne – Spencer, R. Barassi, Adams, Denis Cordner, Beckwith, Melville. Collingwood – Tuck, Serong, Jones, Mann, Weideman, Waller. Goals: Melbourne – Spencer 5, Webb 5, R. Johnson 3, R. Barassi 3, Ridley. Collingwood – Smale, Serong, Turner, B. Twomey, Jones, Greve. 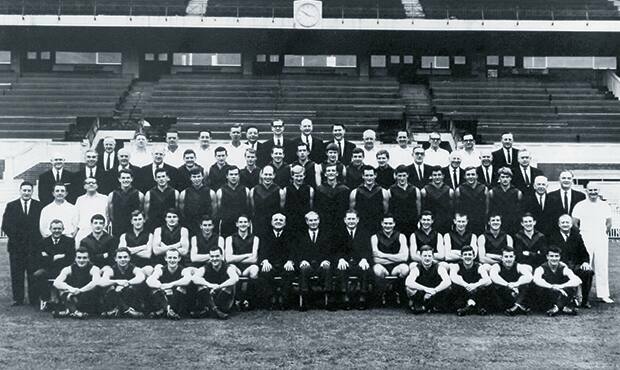 Best: Melbourne – R. Barassi, R. Johnson, Fenton-Smith, Lord, Williams, Ridley. 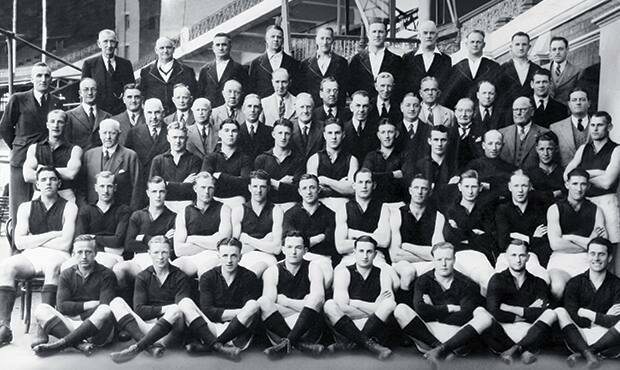 Essendon – Clarke, Shearman, Mitchell, Leek, Towner, Birt. Goals: Melbourne – R. Barassi 5, Ridley 4, Webb 3, R. Johnson 2, Tunbridge 2, Case. Essendon – Gallagher 3, Birt, Gill, Hebbard, Clarke. 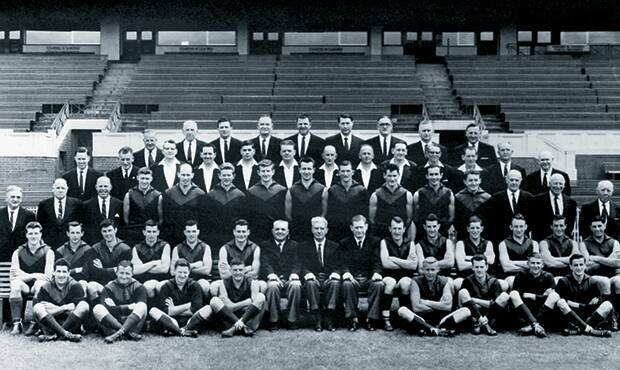 Best: Melbourne – R. Barassi, I. McLean, R. Johnson, Dixon, Jones, Beckwith. 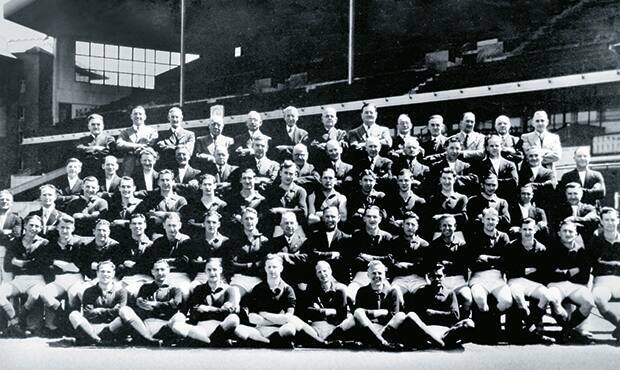 Essendon – Shearman, Birt, Epis, Sewell, Shaw, Clarke. Goals: Melbourne – R. Barassi 4, Rowarth 4, Adams 3, R. Johnson 3, H. Mann, Tunbridge, Ridley. 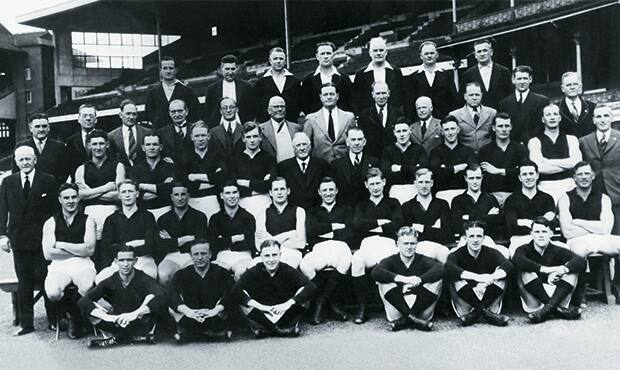 Essendon – Sewell 4, Evans 2, Clarke 2, Shaw 2, Fraser. Best: Melbourne – Mithen, Lord, L. Mann, R. Johnson, Tunbridge, Dixon. Collingwood – Burns, K. Rose, M. Twomey, Thripp, Reeves. Goals: Melbourne – R. Johnson 2, Adams 2, H. Mann 2, Tunbridge, Rowarth. Collingwood – Henderson, Gabelich. Best: Melbourne – Adams, Dixon, Tas. Johnson, Wise, H. Mann, Williams. 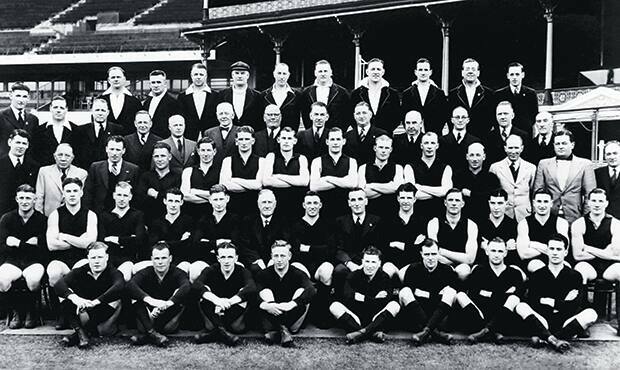 Collingwood – Hill, Steer, Bone, Potter, Henderson, Dalton. Goals: Melbourne – Townsend 3, Lord 2, H. Mann, Bourke, Crompton. Collingwood – Waters 2, Gabelich 2, Bone, Steer, Dalton, Tuddenham.